From the producer: "Delicate aromas of ripe cherry, red plum, sultry spices and earthiness create a sensual and engaging complexity." 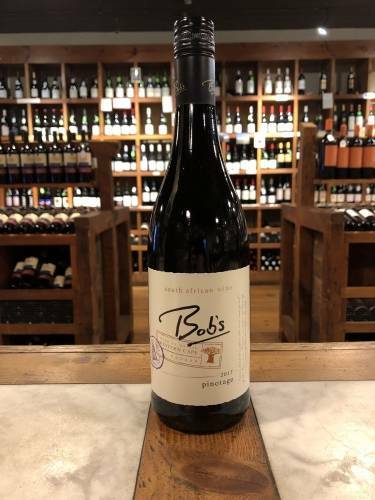 Grown in the cool climate of the Finger Lakes where the grapes ripen slowly, developing complexity and preserving acids required for fine winemaking, this Pinot Noir was grown at low yields of 2 1/2 tons of fruit to the acre, which encourages a concentration of flavors and the expression of sous bois aromas. The grapes were carefully hand-picked and fermented on their skins for 3 weeks in open-top fermentors, recieving gentle punch-downs twice daily to ensure a gentle extraction which allows for flavor and aromas without harsh tannins. The wine then ages 10 months in high quality, older French Oak barrels and recieves another 2 years of bottle aging where it further evolves. 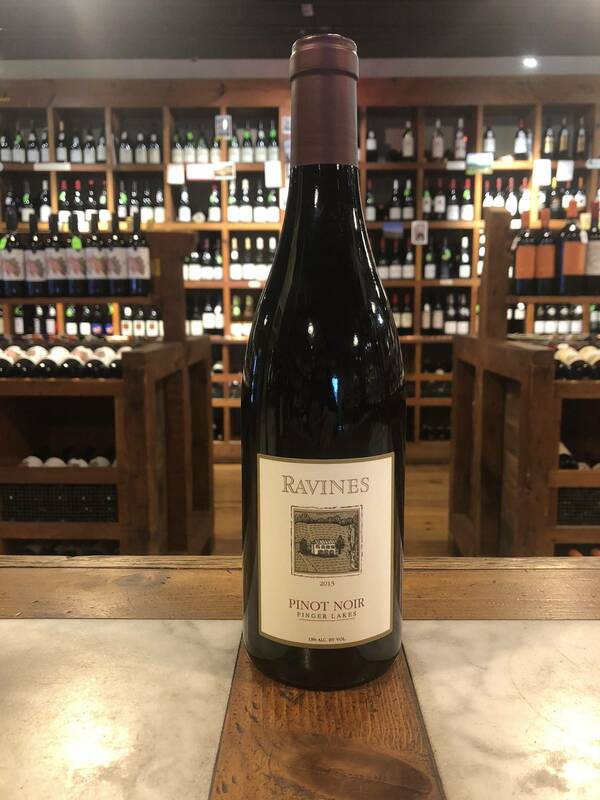 Ravines Wine Cellars is owned and run by Morten Hallgren and his wife, Lisa. They purchased a winery and vineyards on the north west side of Seneca Lake in 2012 and they also have a tasting room on the east side of Keuka Lake. Along with their estate grapes, they purchase grapes from the east side of Seneca Lake for this, their flagship Riesling. Morten, originally from Denmark, comes from a wine family. He grew up in Provence at Domaine de Castel Roubine. He attended enology and viticulture school in Montpellier, France and upon moving to the Finger Lakes worked at Dr. Konstantin Frank Vinifera Wine Cellars before starting his own project in 2000.